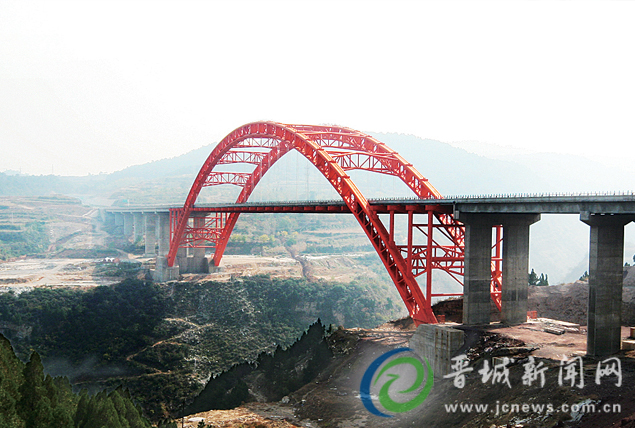 Located in Qinshui county, Shanxi Province, the Beishengou Bridge is one of Northern China's highest arch bridges. 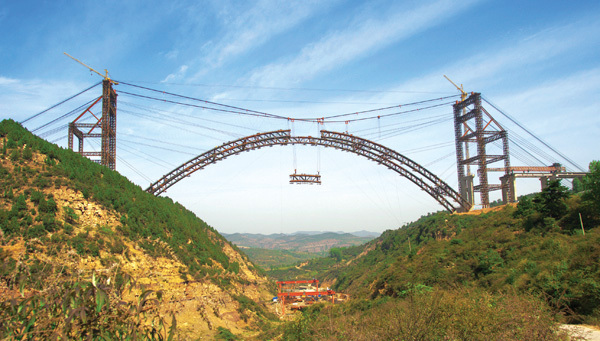 The 269 meter through arch is built in the tradition of all new Chinese arches with concrete filled steel tubes. 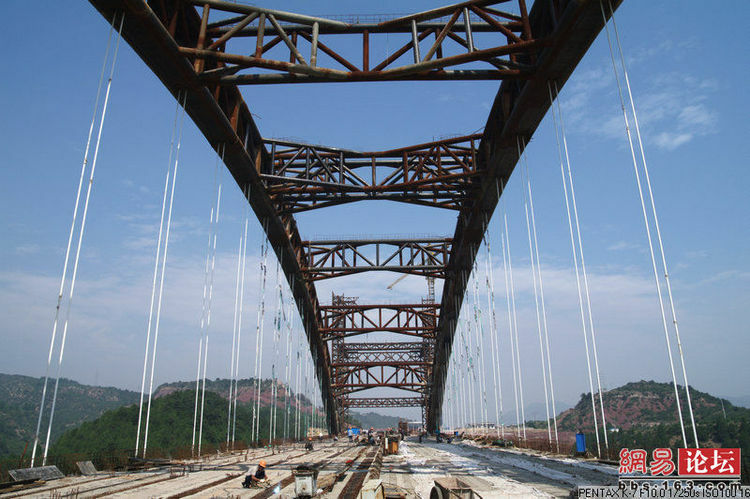 The total length of the bridge is 683 meters. 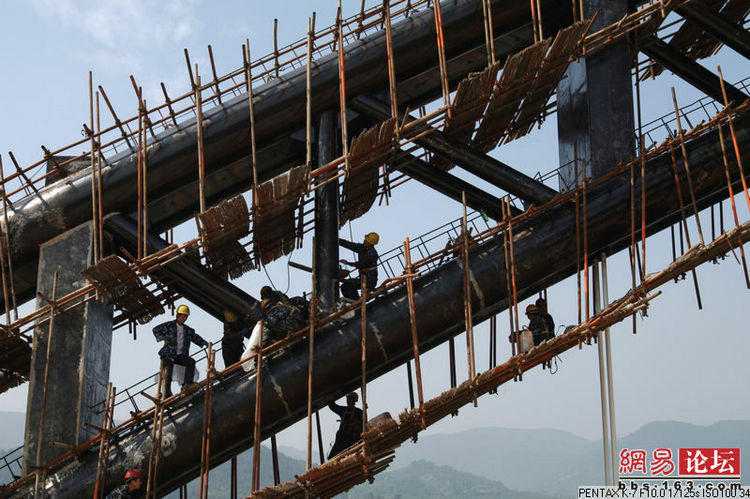 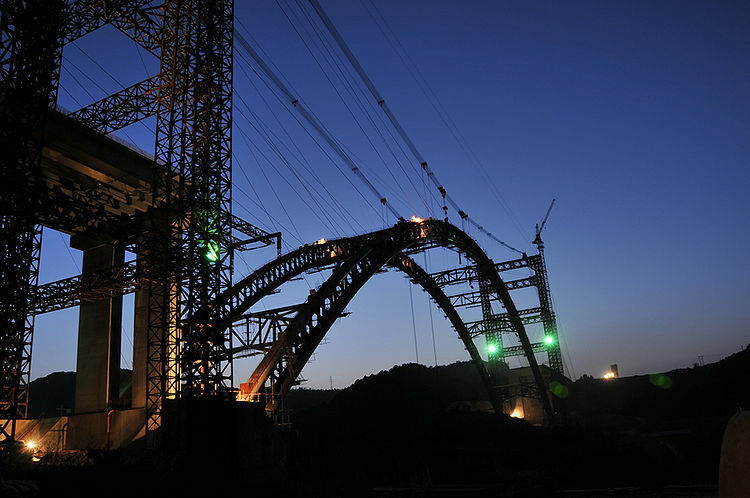 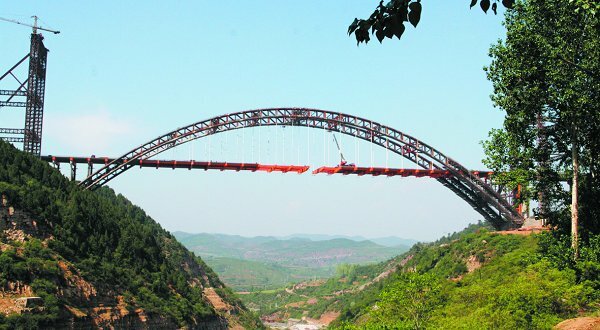 The project manager of the China Railway Bridge Bureau He Zelin, said they originally created a common beam bridge design but after doing ground surveys found that there is a fault with complex geological conditions so the single arch concept came into play. 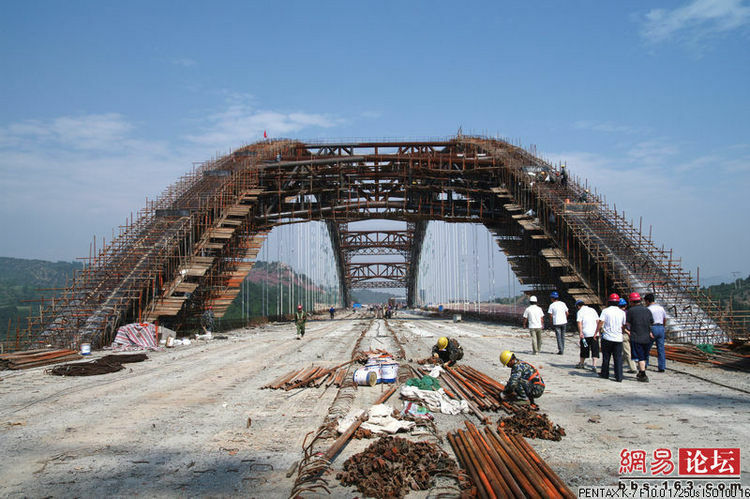 Construction began in December 2007 and was completed in November of 2010 as part of the 65 kilometer Jinyang highway which has 32 other bridges along with 13 tunnels and 5 interchanges.